WE SHIP INTERNATIONALLY. The shortest ship from Japan & Factory Direct Price. MT switches were co-invented with TOYOTA as a precision switch which can stably output the ultra-high-accuracy positioning signals under harsh working conditions such as automobile manufacturing lines where coolant and cutting chips splatter. Measurement of workpiece end surfaces with 0.5μm precision. a direct seller where low prices, fast shipping and superior service offer the most common-sense way to buy industrial controls. limit the current below 10mA. "Precision Positioning" - Essential for Manufacturing. An industrial-use mechanism which supports work at manufacturing sites. One of the most essential elements when it comes to improving product quality and productivity is 'positioning'. Questions:How should the switch be contacted with detected objects? Make contact with the object at right angle. Do not press the plunger to the stroke end. It may cause malfunction due to the impact. Action is limited between the tip end and the edge of the internal bearing. The end face may deform when the detector is hit, causing the failure in the return. Make contact with detected objects at right angle. Action is limited between the tip end and the edge of the bearing. The end face of the bearing may deform when the detector is hit, causing the failure in the return. If there is a possibility to press the plunger to the stroke end, install a stopper separately to prevent the malfunction. Questions:Please let me know the LED display type. LED display is placed on the cable which is 120mm distance from switch body. It will turn on when the switch is ON. LED display is placed in the switch body. Don't Connect directly to the DC24V power supply. LED can be damaged. Questions:How can I wire Metrol switches when replacing cuttently using proximity sensors? For wiring, please refer to the following. Questions: Can I order and customize Switches? It depends on quantity and specifications of switches. Questions:Are Metrol's cabtyre cables "Robot cables"? Metrol's Cabtyre cables are used as Robot cables without any safety compromise since the working voltage and current are low, though cabtyre cables are not applicable to UL, CSA, EN or other safety standards. Questions:Are Metrol products RoHS compliant? 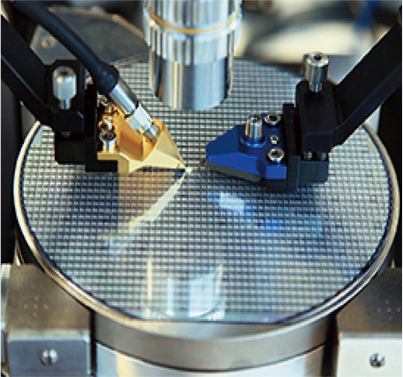 Our products comply with RoHS Directive and use lead-free solder. Questions:Are CE-Mark Machine Directives / Low Voltage Directives applicable to Metrol products? Our products are applicable neither to CE-Mark Machine Directives nor to Low Voltage Directives. Questions:Where do you manufacture Switches? All of Metrol products are "Made in Japan". Our factory is in the west part of Tokyo, where you also enjoy the view of Mt. Fuji. All the process of manufacturing to quality inspection are carried out consistently in our factory and ship out to all over the world. We accept payments via Credit card, PayPal and Wire transfer only. There are NO WIRE TRANSFER FEES for remittance, both of your bank and our bank. But We charge 5000JPY of BANK CHARGE. So that you can prevent fail of transfer fee for remittance.If you're unwilling to pay it, we recommend you to choose Credit card or Paypal. We are relegating a system of online payment to the ZEUS Corporation. All information is encrypted and transmitted without risk using a SSL protocol. or the wrong item shipped, you may receive a full refund or a replacement product. Please note that we are not responsible for items that are damaged by mishandling or incorrect operation. METROL has developed "precision mechanical sensors", while most industrial sensors were electrical. This was unlike any other in the world. Our products are now used in not only long standing automobile industry and machine tool industry but, also in leading companies in semiconductor, robot, medical equipment and smartphone industries.